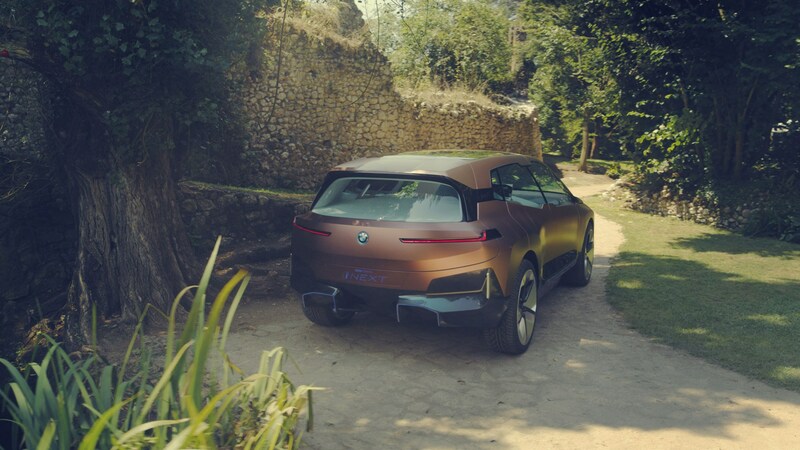 The BMW iNext is edging towards production – whatever you think of its looks. Today, Munich revealed new pictures of the production version of the eSUV winter testing in Arjeplog, Sweden. We've seen the concept, but engineers are using a production mule to hone its ride, handling battery-temperature management and other essential systems. 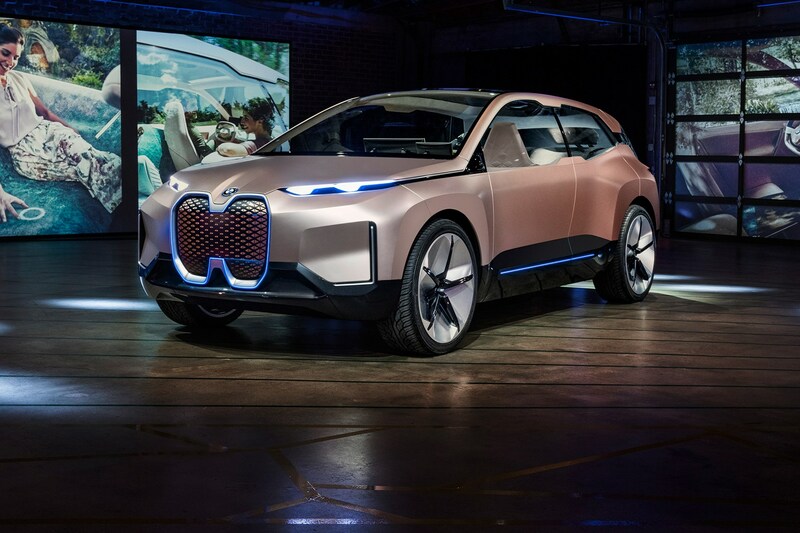 BMW says its Sports Activity Vehicle (SAV) is being put through its paces on ice-covered lakes, and particular attention is being paid to the car’s energy systems. Unlike a combustion engine, battery chemistry is particularly sensitive to temperature – so charging times, battery heating and other aspects of the EV are being closely analysed in sub-zero temperatures. 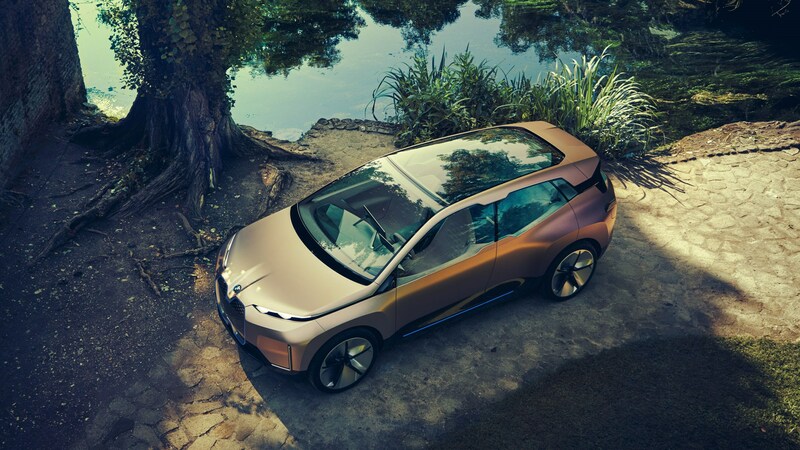 An all-electric SUV, a production version is scheduled to follow in 2021, potentially labelled the BMW iX7, although that’s far from confirmed. 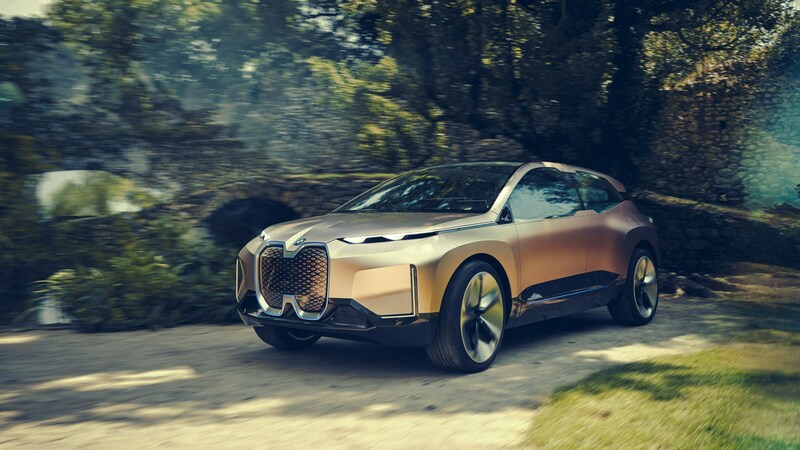 It’s a significant concept car for the BMW Group, because its technology, design and packaging is a showcase for the company’s future plans, particularly in terms of electrification, connectivity and autonomous driving. 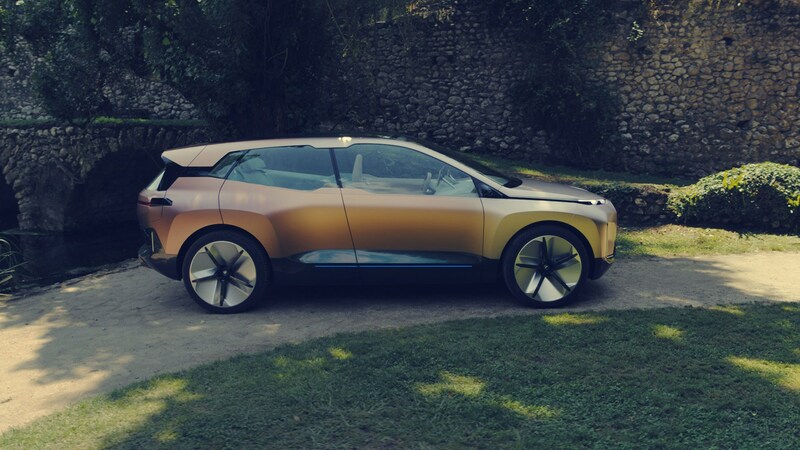 Like the BMW Vision Dynamics concept (previewing the upcoming i4) and the more recent iX3, the iNext is dominated by a tall, conjoined-kidney grille, which looks set to be a signature of BMW’s electric range. The windscreen flows unbroken into a panoramic glass roof, designed to fill the interior with as much light as possible. It’s a very big car, with proportions described by BMW as being between the X5 and X6, but it looks even bigger in person. There’s no B-pillar, the central strength formed by an overlap between the front and rear doors. 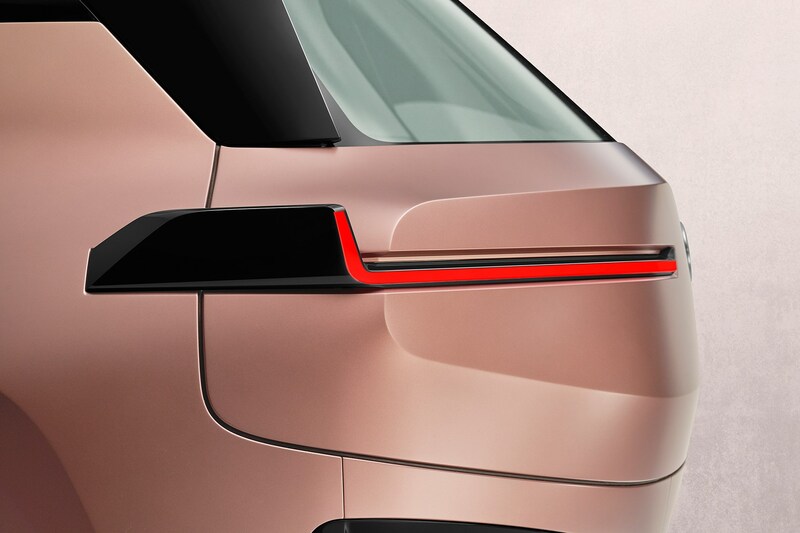 The doors themselves are enormous, the rears being reverse-hinged coach doors, and there are no conventional doorhandles, replaced by gesture sensors. 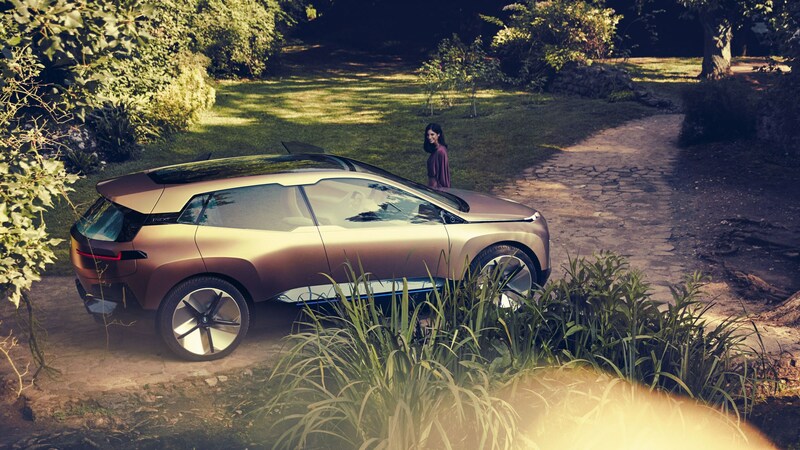 Likewise there are no doormirrors, replaced by cameras in true concept car style. 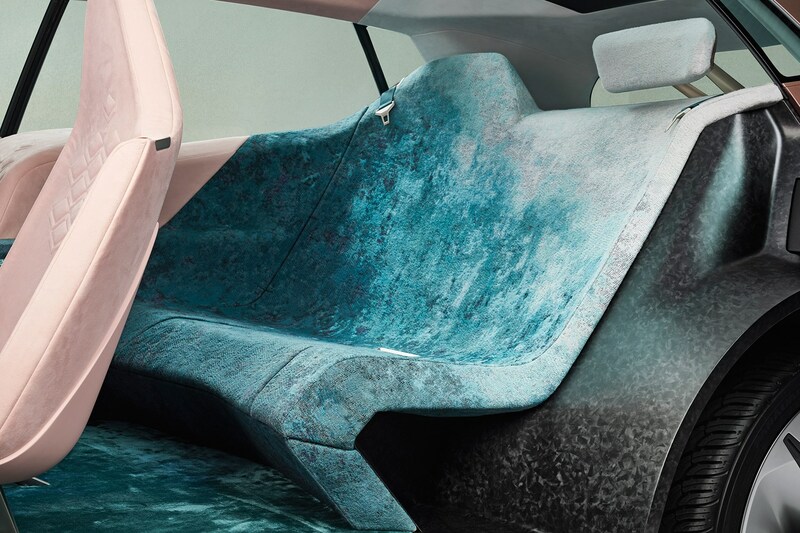 The iNext previews both autonomous and connective tech, and the interior can change configuration according to whether it’s in autonomous or manual control modes. 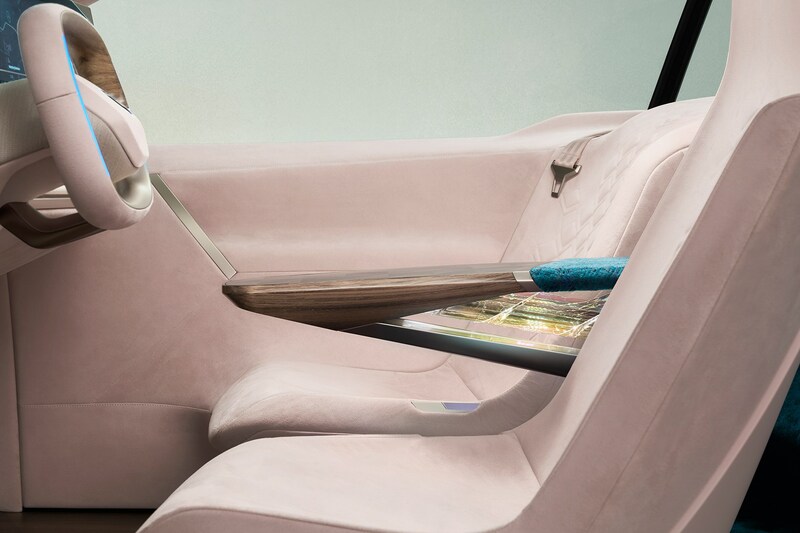 The concept features Boost mode for old-fashioned human-controlled driving and Ease mode for autonomous travel. In Ease mode the steering wheel retracts slightly and the pedals become flush with the floor. 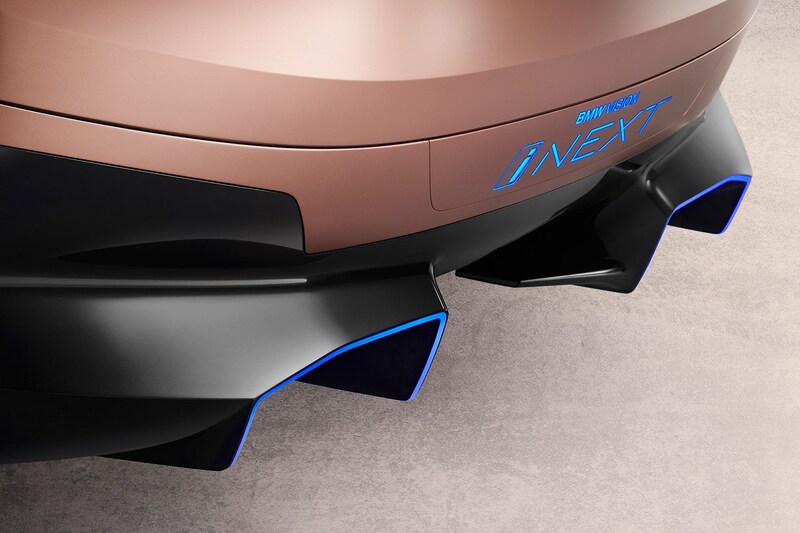 In Boost mode, BMW claims the iNext will still live up to its ‘ultimate driving machine’ strapline, thanks to a low centre of gravity and strong acceleration, although it’s declined to announce projected performance figures. 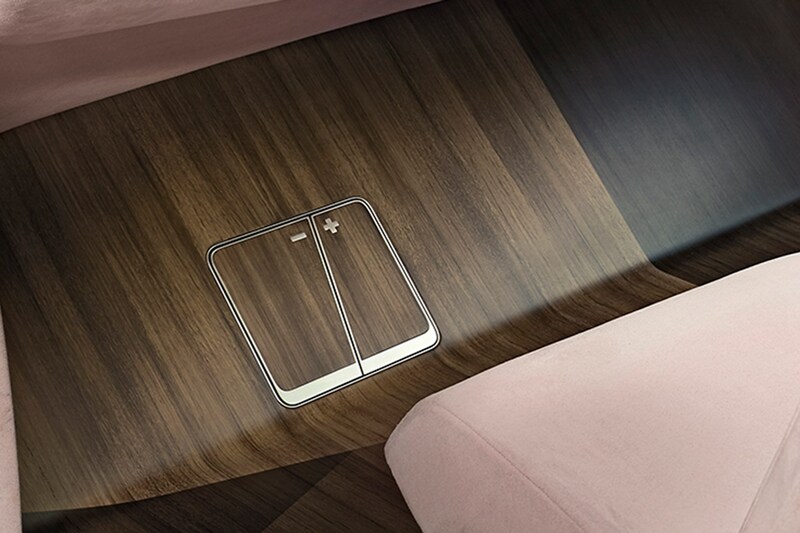 Conventional switchgear has been avoided, with many of the car’s primary functions operated by voice control and, intriguingly, touch-sensitive surfaces as opposed to touchscreens. 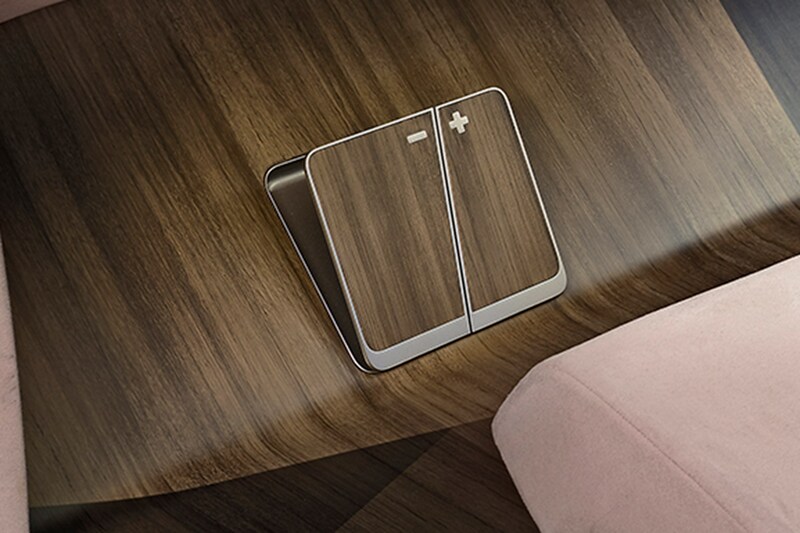 The wooden centre console is a case in point, and in Ease mode its entire surface can act like one large trackpad. 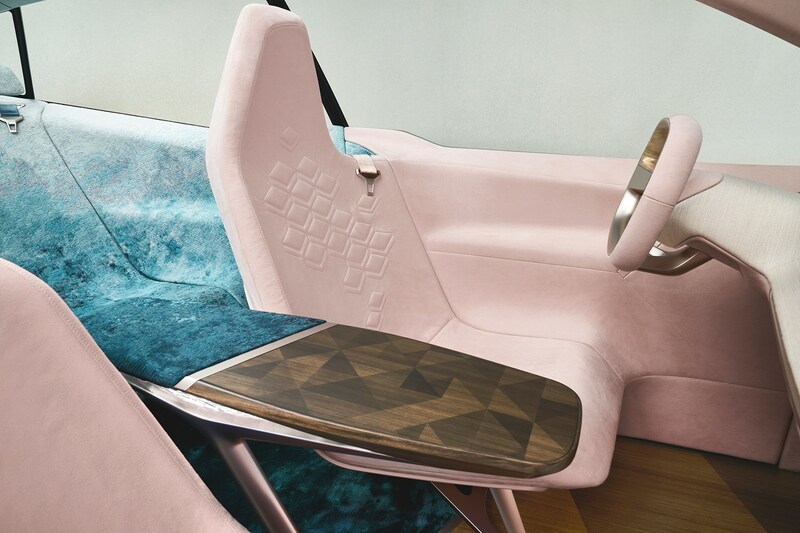 Similarly, the rear seat – which is an asymmetrical bench to encourage occupants to turn towards one another while in autonomous mode – is made from tactile, coarse-cut Jacquard cloth, and it too has touch-controlled elements. 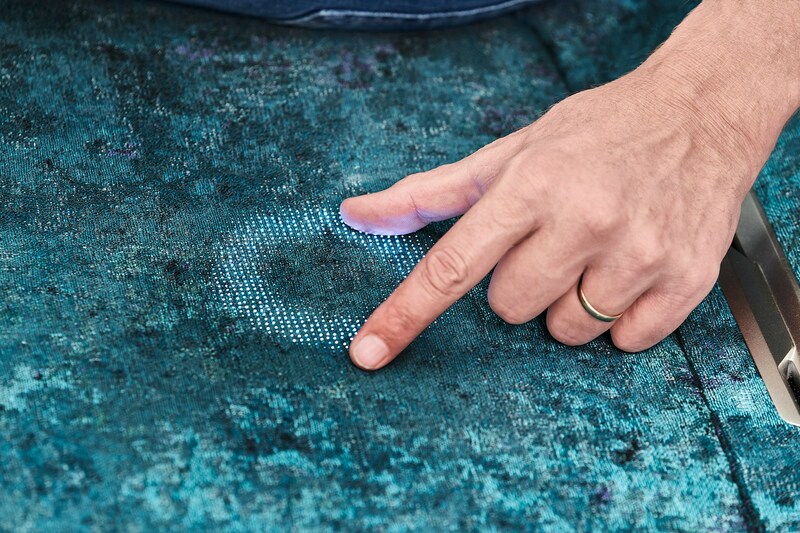 Trace your fingers across certain sections and you can skip music tracks, raise and lower the volume and execute various other commands, while illuminated light paths trace the path of your fingers. Very sci-fi. 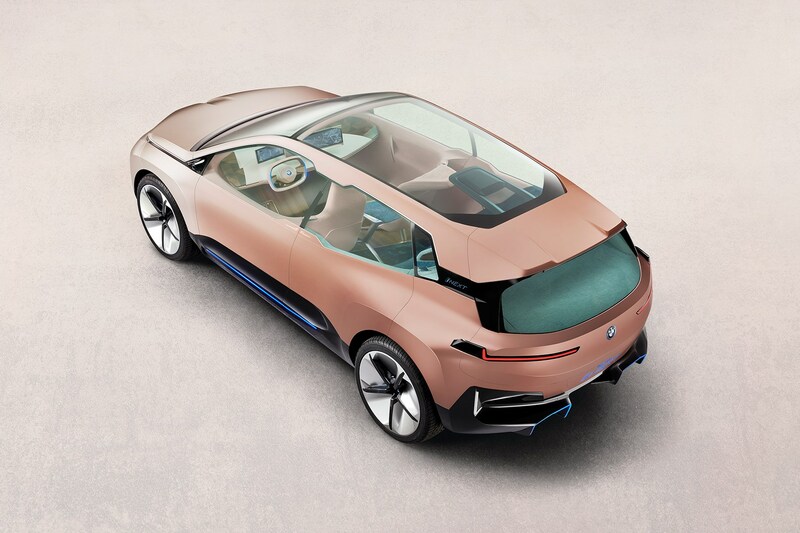 The iNext previews a new modular platform, designed to be used for both pure EV and combustion-engined production cars. 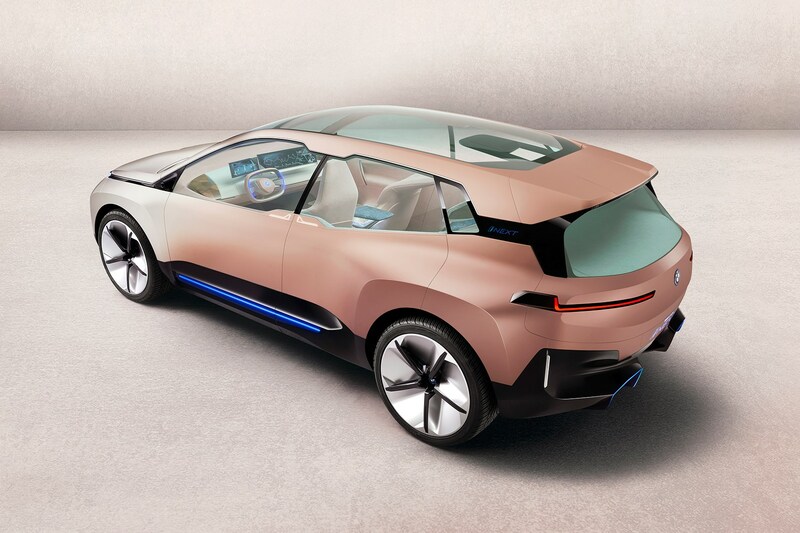 Its batteries are positioned in an aluminium tray in the car’s skateboard-shaped floorpan, and the height and length of its cells will be adjustable according to the shape of the car in question. This being an SUV, it uses taller cells. 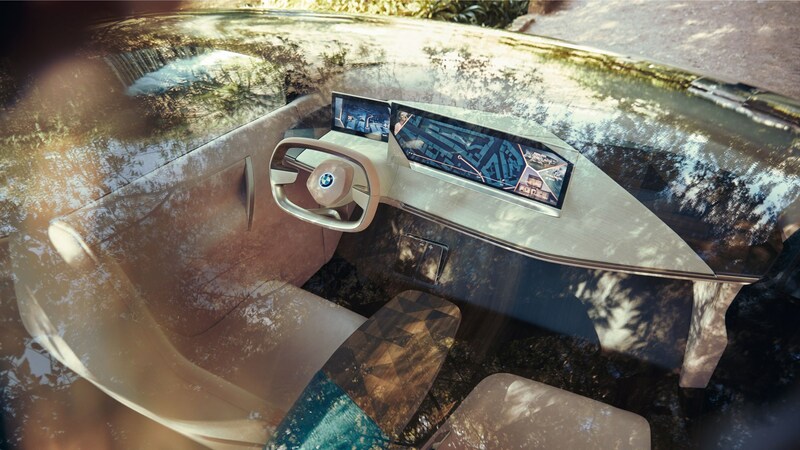 While today’s electric BMWs such as the i3 use separate motors, gearbox and control electronics, the iNext will integrate all three elements into one unit, saving cost and weight, and increasing power density. 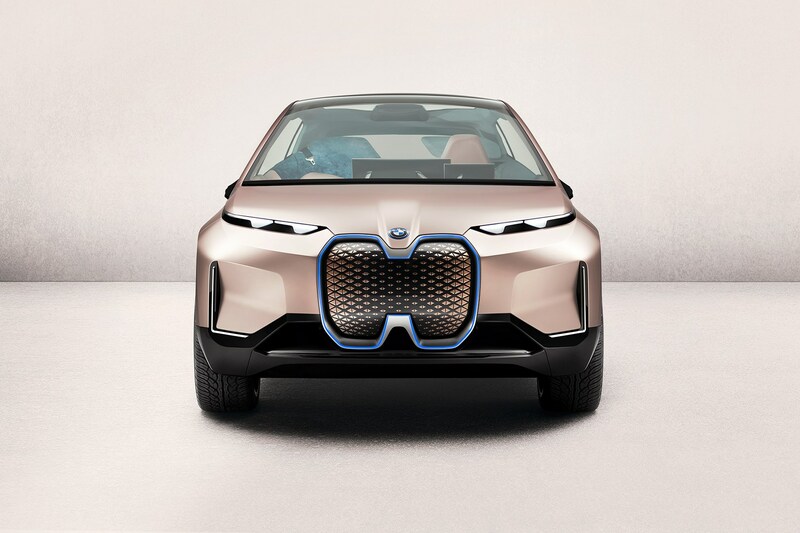 The iNext production model, whatever its production model name will be, will launch in 2021, built at BMW’s Dingolfing plant in Germany. 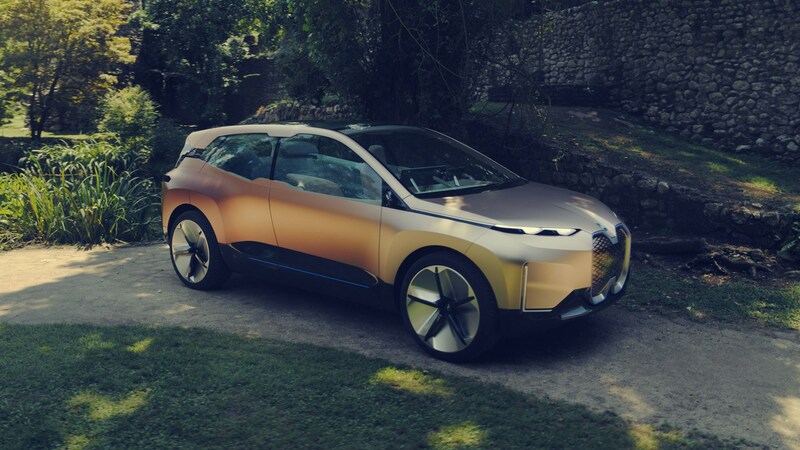 BMW will release an electric mini as early as 2019, and we should see the iX3 soon after in 2020. Rather than an all-electric version of the next BMW 3-series, it’s understood BMW will release a four-door coupe similar to the 4-series, likely to be named the i4. Its release date is to be confirmed at the time of writing. 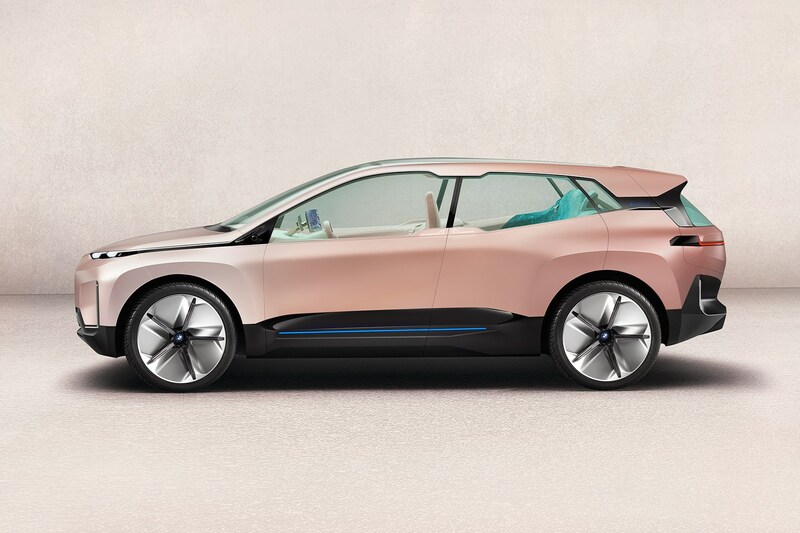 In purely temporal terms, BMW is a little behind the electric curve; both Mercedes and Audi have already revealed their first EV production cars, and Jaguar's i-Pace has beaten the lot of them to showrooms to compete with Tesla’s long-established model range.